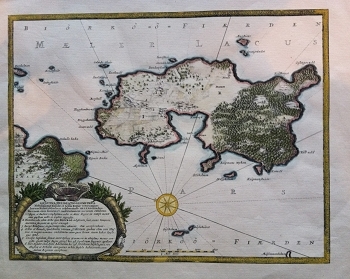 This map of Bjorko Island in Lake Malaren is a copper engraving, c. 1710. It has modern hand color and an impressive cartouche at lower left. The map measures 13 x 16 inches.